Their story is one of the most remarkable in popular music, and it continues to be written. Founder member (and second tenor) Otis Williams, now in his early seventies, seems determined to sustain the legend, still performing with a group of Temptations under his command. In the opening track of the 2004 album Legacy, he sings: Some of the faces change / But the name's the same / Still the Motor City runnin' through my veins. "I wouldn't change anything. God put us here for a reason, and we're still here years later. The only thing I'm saddened by is that the four brothers who started this with me are no longer here." Otis Williams of the Temptations. You can chart the extraordinary life and times of the Temptations through any number of dates from the past half-century. March 6, 1965: 'My Girl' is their first No. 1 on the Billboard Hot 100. August 10, 1967: The group opens a two-week, sellout residency at the Copacabana. March 3, 1973: 'Papa Was A Rollin' Stone' wins three Grammy awards. November 1, 1998: The Temptations' story is broadcast as an NBC-TV mini-series. June 1968: In Cleveland, lead singer David Ruffin is fired from the group. August 17, 1973: Founder member Paul Williams commits suicide in Detroit. June 1, 1991: David Ruffin dies of a drug overdose in Philadelphia. January 12, 1998: Otis Williams sues Dennis Edwards to stop him performing as the Temptations. The bloodline belongs to the music, of course, and 'My Girl' is surely the heart. You can still hear it pumping around the world, on radio stations and digital streaming services, in movies and TV sitcoms, not to mention commercials. Hell, delegates to the Republican Party's 2012 national convention in Florida even sang it following a speech by the wife of presidential candidate Mitt Romney. For the Temptations, 'My Girl' propelled them to the peak of the pop charts. For David Ruffin, it was his first lead on a single by the group. For Smokey Robinson, it wasn't his first production with them, but everything changed thereafter. "We had the Temptations on a package tour with [the Miracles]," he told Black Music magazine. "We were doing quite a lot of dates and 'My Girl' was written in New York at the Apollo Theatre. I was at the piano and Ronnie White came down and we kind of worked out the words and everything. "I was going in different directions with the Temptations at that time because Paul Williams and Eddie Kendricks had been doing all the lead vocalising - and I knew David was a dynamic singer. We wanted to try some songs on David [as] lead and 'My Girl' was the very first one." The group added vocal parts in the closing weeks of 1964. 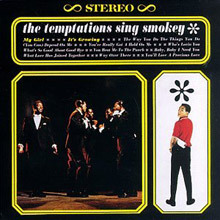 "Smokey is one of those people whose songs have a ring of truth to them," said the late Melvin Franklin, the bass foundation of the five men. "If you're singing that song - and you have the kind of voices like the Temptations - it's easy to believe it will make it." At Motown Records, the five had been striving to make it since signing in 1961, when their name was changed from the Elgins. The company's then-A&R chief, William (Mickey) Stevenson, said, "They were our demo cutters, our background singers. Whatever I wanted to do with a song or whenever I had an idea, I'd call the Temps. Every time they touched something, it would have colour to it. They didn't care who the song was for. With that kind of spirit, they had to end up a winner." And win they did. After 'My Girl' and the albums Meet The Temptations and The Temptations Sing Smokey, their career exploded in a flash of radio, television, concert and chart ubiquity. 'Get Ready,' 'Ain't Too Proud To Beg,' '(I Know) I'm Losing You,' 'I Wish It Would Rain' the hits came thick and fast, as did albums of depth and substance: Gettin' Ready, With A Lot O' Soul, Wish It Would Rain, In A Mellow Mood and Live! 'Ain't Too Proud To Beg' ratified Ruffin as the Temptations' defining voice, at least until he was fired in 1968.Â The late Norman Whitfield, who became the group's primary producer after Smokey, explained, "There are certain people who can deliver love songs better than [those with] the more raunchy-type voice. David could give you both." Unfortunately, Ruffin's ego got the better of him. His successor, Dennis Edwards, proved to be the perfect vehicle for Whitfield's fresh outlook, influenced as it was by the rock 'n' R&B fusion of Sly & the Family Stone. Of Norman, Otis Williams wrote in his autobiography, "his choice of instrumentation was also radical for Motown: heavy electric guitars using effects like wah-wah pedals, different rhythms and background-vocal arrangements where each of us sang different lines and parts, rather than doing the monolithic 'aah' and 'doo' patterns." 'Cloud Nine' and 'Run Away Child, Running Wild' were the first fruits of Whitfield's imagination and Edwards' dynamic lead, which was also showcased in the albums Cloud Nine and Puzzle People (both 1969) and Psychedelic Shack (1970). 'Run Away Child' ran to 9:38 on the album, confirming that times were changing. 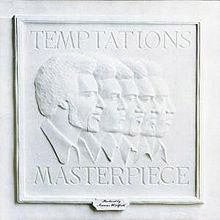 "Plus, the Temptations were such creative people themselves," said Barrett Strong, Whitfield's writing partner . "They would say, 'Let's try this, let's try that.' They were great to work with." 'I Can't Get Next To You' and 'Ball Of Confusion' were further crossover hits, showcasing the lead skills of every Temptation. "Like I said," recalled Strong, "once we got caught up into the lead singers on these different songs, it became such a thing that we figured, why not continue it, you know?" Strong would demo the songs, too. Melvin Franklin once noted, "You see, Barrett can sing - So when it came our time to sing it, hey, we're not going to let this guy show us up!" Celebrated for their snappy "Temptation Walk" choreography, the group spun to a more traditional tempo via a duet album, Diana Ross & The Supremes Join The Temptations. A second set of duets followed: T.C.B. (Taking Care of Business), the soundtrack to Motown's first TV production, which aired in America at the end of '68 to strong ratings. Another pair of albums followed, Together and (also a TV special) On Broadway. Baritone Paul Williams captivated the audience on the T.C.B. telecast with a version of 'For Once In My Life,' but this founder member of the Temptations was often adrift and alcohol-dependent. Richard Street, in a combo called the Distants in the late 1950s with Otis and Melvin, was recruited to sing Paul's parts from the wings. He eventually took his place on stage after 1971; Williams committed suicide in 1973. Even as this tragedy unfolded, Eddie Kendricks, too, had leaving on his mind. "We didn't want to stop him and he didn't want to stay," declared Otis Williams, "so that was that." Before he went, Eddie made 'Just My Imagination (Running Away With Me)' into one of the Temptations' most successful sides, his feather-light lead and the group's Jacuzzi-warm harmonies melting together perfectly. Kendricks was officially gone (replaced by Ricky Owens, then Damon Harris) in March 1971, as 'Imagination' held sway at No. 1. You can find what many regard as the Temptations' zenith from the vaults of 1972. 'Papa Was A Rollin' Stone' was a Grammy-winning, chart-dominating piece of cinematic soul which ran for almost 12 minutes on the LP, All Directions. "I wanted to try some songs that had the scope and feeling of a movie," producer Whitfield later said of his work. Dennis Edwards, for one, hated the song's lyrics; his father - a preacher, not a rolling stone had died on a 3rd of September. "But their technique is so all-encompassing," Whitfield said of the group, "that once we had reached an understanding about what they were singing, the Temps were able to summon up the necessary extra energy the songs demanded." he "necessary extra energy" isn't the most eloquent testimony, but it remains a key aspect of their convention-defying legacy. Temptations leave (David, Eddie, Paul, Dennis) or pass on (Melvin, Richard, Damon), but the group endures. For a moment, Kendricks and Ruffin reunited with them for a tour and a Motown album, Reunion, in 1982. Later, under the patronage of Daryl Hall & John Oates, the two played at Live Aid and recorded together. An inspired Temptations vs. Four Tops contest during the 1983 TV special, Motown 25, led to the groups teaming up on the road for years afterwards. 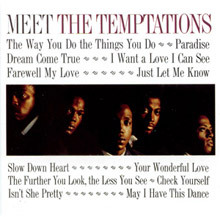 Demand for the Temptations was further met by a consistent flow of long-players, from gold-certified A Song For You (1975) and The Ultimate Collection (1998), to Wings Of Love and House Party (both 1975), Truly For You (1984), To Be Continued (1986), Milestone (1991), For Lovers Only (1995), Phoenix Rising (1998), Awesome (2001), Reflections (2006) and Back To Front (2007), among others. To this day, their total album count exceeds 50. The Temptations even quit Motown near the end of 1970s, but returned in 1980 to cut a song co-written for them by Berry Gordy, entitled 'Power.' Thirty years later - thirty! - a remix of their 'Power' was featured in a commercial for smartphone maker Blackberry. Decades pass, technology evolves - and the Temptations are still temptin'. With everything the Temptations released pretty much guaranteed to turn to gold, not to mention platinum for that matter, even their tripped-out forays into sweet '60s psychedelic experimentation were sure to fire a string of hits. 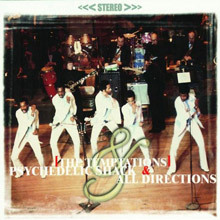 1970's Norman Whitfield-produced Psychedelic Shack -- while perhaps a system shock to those fans who grooved to the band's lame-suited, Motown dance-routined R&B classics -- was a magnificent stretch into an epic and ultimately emerged as another in a long line of enduring sets. Deviating from form across the first songs, it was with the whimsical and willful title track (and a big thanks to the band from Georgia retro-ists the B-52's, who took their own homage, "Love Shack," to the top of the charts in 1989) that the Temptations broke their own mold with the acid-drenched party chant: "Psychedelic shack/That's where it's at." Opening that door and venturing outside the nonstop celebration, the band retains that vibe while returning to a slightly more staid stance on "Hum Along and Dance," leaving both the oddly paced "You Make Your Own Heaven and Hell Right Here on Earth" and the totally tripped-out "Take a Stroll Thru Your Mind" out on their own plane entirely. With such a strong collection of songs, it couldn't get much better than that. But, of course, it does, as the Temptations blister through the groovers "It's Summer" and "Friendship Train." And that, of course, just leaves the Whitfield-penned classic "War" to round out the mix. 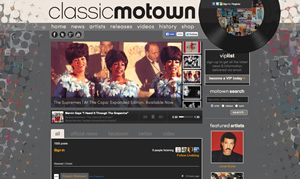 While fellow Motown-er Edwin Starr has etched what is now considered to be the definitive version of the song into the history tablets, the Temptations certainly took their own inspiration and added a unique spin as well. Not much else can be said, except that this is an absolutely outstanding album -- one which has stood the test of time, sounding as fresh as it did upon initial release. And for those who still suffer the scratchy vinyl, a 2002 CD reissue of the album on Dutch Motown finds Psychedelic Shack cunningly paired with the similarly superlative All Directions in a neat two-disc package. 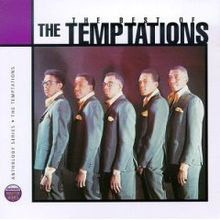 The Temptations' first LP, released three years into the group's history with Motown, is also a great record, even though it wasn't really an album so much as a collection of their early singles, hooked around their then new hit, "The Way You Do the Things You Do." Those expecting the classic Temptations sound should also be aware that David Ruffin is absent from all of the tracks except "The Way You Do the Things You Do," which was cut just after he joined, replacing Elbridge "Al" Bryant. Thus, the 14 cuts on this CD (12 off the original album plus two bonus tracks) represent the evolution of the act and its sound, as well as a succession of producers -- Andre Williams and Mickey Stevenson on "Oh, Mother of Mine" and "Romance Without Finance," the group's earliest 45 pairing, issued on the short-lived Miracle label; Norman Whitfield, for one single; Berry Gordy and Smokey Robinson; and finally Robinson. The differences are fascinating -- "Oh, Mother of Mine," sung by Paul Williams and Eddie Kendricks sharing the lead, has an exuberant doo wop-based sound mixed with a serious soulful quality that would eventually define the group; "Romance Without Finance" is a little less derivative, with a heavier, fuller band sound (especially the guitars), but both tracks are rooted in a fast dance beat, in keeping with the tastes of the times (early 1961), and neither had the hooks to make it distinctive unto itself. Several of the Gordy-produced numbers seem highly derivative of other, more familiar songs by other acts -- "Paradise" sounds like the Four Seasons covering Maurice Williams' "Stay," and "Isn't She Pretty" comes off like a rewrite (albeit a very pretty one, no joke intended) of the Isley Brothers' "Respectable." These and other Gordy-written and -produced numbers are attractive enough, but not special as songs or productions, despite some excellent singing. One group composition, "Check Yourself," produced by Gordy, is interesting for its abrupt tempo change, and features a beautifully expressive Paul Williams lead vocal. But the Smokey Robinson cuts are where the group's sound blossoms, their harmonies suddenly soaring elegantly with Williams' voice cutting through the center while an understated but fully integral band sound provides the foundation. Coupled with his songwriting, those numbers and Robinson helped put The Temptations on the charts -- and well up on the charts -- after three years of failure. The sound on the 1999 reissue of this album is excellent and then some (the Earl Van Dyke Band never sounded better), and the notes, although minimal, give some frame of reference for the album's release. An excellent mid-priced release that will delight fans and casual listeners. 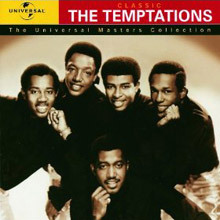 This was only the group's second LP, and it was an extremely strong one, built around two monster hits ("My Girl" and the previously recorded "The Way You Do the Things You Do") and one close runner-up ("It's Growing"), plus a brace of some of the best songs in the Motown catalog, including renditions of "You Beat Me to the Punch," "What's So Good About Goodbye?," "You've Really Got a Hold on Me," and "Way Over There." All are done in a style unique to the Temptations, with arrangements that are distinctly different from the familiar versions by other Motown acts, and all are worthwhile. The original CD version, released in the mid-'80s, was a major disappointment. In 1998, it was remastered in 24-bit digital audio, giving it vastly superior sound quality (the 1998 copyright on the back is the giveaway, along with the reference to Polygram as owner of Motown); it was the first of the classic individual Motown albums already out on CD to get this treatment. The stereo separation on the reissue is very sharp, the sound is a lot closer and louder, and the detail is startling, right down to the rhythm section, parts of which, on "Baby, Baby I Need You" and "My Girl," stand out in astonishingly sharp relief. The bass on the latter is so solid it's scary, and the disc is worth owning almost as much for the sound as the music, just to show what listeners were missing on those earlier CDs. Eddie Kendricks said so long to The Temptations on this early-'70s album, with the glorious "Just My Imagination" being his swan song. The song that everyone missed was their lengthy, imaginative version of "Smiling Faces Sometimes," which wasn't a huge hit for them, but became a smash for The Undisputed Truth. Although they were successful with Damon Harris replacing Kendricks, things would never be the same. Norman Whitfield was always the Motown producer who had the most daring creative vision for The Temptations; he was the man who helped them turn psychedelic (well, sort of) with "Cloud Nine" and "Psychedelic Shack", and when the group's career had hit a slump in the early 1970's, he brought them back to the top of the charts with the brilliantly realized "Papa Was A Rolling Stone". 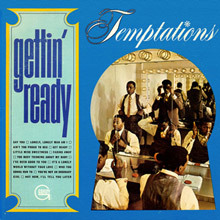 After the latter tune had become a smash, Whitfield and The Temptations set out to make their most ambitious project to date, but in many ways, Masterpiece sounded more like a Norman Whitfield solo album with the Temps adding occasional vocals; the album's long, carefully layered tunes, complete with sweeping string charts and cleanly punctuated horn lines, have the widescreen splendor of a big-budget movie, and while it's inarguably impressive to hear, the featured artists often seem to be lost in the shuffle. 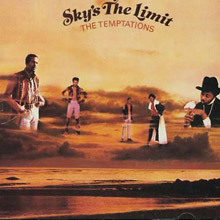 It doesn't help that while the album is musically impressive, several of the songs are lyrically cut-rate, especially the cliche-ridden "Ma" and "Plastic Man", a ho-hum critique of hypocrisy, and while The Temptations deliver their material with conviction and typically peerless vocal skill, it's not enough to disguise the fact this album overshoots its target. While still better than the average Motown effort of the period, Masterpiece never quite becomes the triumph it obviously wants to be, proving once again that a "Masterpiece" usually occurs as a matter of serendipity rather than careful design. By 1975, the Temptations were a much different group with both David Ruffin and Eddie Kendricks out of the lineup. Dennis Edwards was now singing lead, and only Melvin Franklin and Otis Williams existed from the original group. The group was far more of a funk mind, and this set proves it. The big hit on here was "Happy People," with the Temps backed up by the Commodores, listed as "the Temptations Band" on the second part instrumental version. For ultra-funk, though, it's hard to beat "Glasshouse" and "Shakey Ground," which features guitar and bass work from P-Funk alumni Eddie Hazel and Billy Nelson. But they didn't leave their ballads entirely in the good old days, as the satin-drenched "Firefly," "Memories" and the title track clearly show. Produced by Jeffrey Bowen, this thing has "'70s'" stamped all over it. In the case of the Temps, that's good. Arguably the most consistent of Motown's impressive list of vocal groups, the Temptations rode through the cultural shifts of the 1960s and early '70s with apparent ease, turning out quality hit after quality hit. This set focuses on the group's middle period, and includes gems like "Ain't Too Proud to Beg," "(I Know) I'm Losing You," "Cloud Nine," "Psychedelic Shack," and their dramatic masterpiece, "Papa Was a Rollin' Stone." A solid set, with no obvious filler. The marvelous title track alone, with Eddie Kendricks gliding into the stratosphere, made this an instant winner. There were several fine songs that weren't hits, such as "Not Now, I'll Tell You Later" and "I've Been Good to You," and there sure wasn't anything wrong with powerhouse cuts like "Ain't Too Proud to Beg." The Temptations would score four straight number one hits in the mid-'60s, each one an unforgettable classic. David Ruffin is history as a Temptation, and his replacement Dennis Edwards shows his stuff on this live recording of a Copacabana performance. 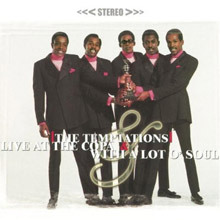 This is on a par with their previous live album, The Temptations Live. They successfully combine their hits with songs from the In a Mellow Mood LP, making for an entertaining, well-rounded set. Eddie Kendricks was never in finer voice than here, emoting and pleading on "Please Return Your Love to Me," while showing his ability to sing standards on "With These Hands." Edwards' rendition of "The Impossible Dream" is appealing to even the most die-hard fans of soul music. You can almost see Paul Williams sweating as he reaches for the notes and belts out the theme from Man of La Mancha; he also treats the crowd to his popular version of "For Once in My Life." Bass singer Melvin Franklin gets a rare lead and sings his crowd-pleasing "I Truly Believe," the popular flip side of "I Wish It Would Rain." Otis Williams handles the introductions, but the roar comes when Edwards take the lead with his powerful, churchy voice. He makes "I Could Never Love Another (After Loving You)" his own; you completely forget David Ruffin's original version. A powerful statement from the Temptations. A definitive overview of the Temptations' career at Motown, Anthology was first released on LP in 1973, revamped in 1986, and updated once again for the CD era in 1995, with modern remastering technology and new packaging. The 1995 version tinkers with the selections a bit, appends a few later singles released after the original issue, and adds a few extra, lesser-known items from their earlier years, including the previously unreleased "Lullaby of Love." 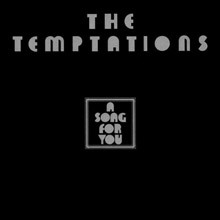 Since it's difficult to encapsulate the Temptations' accomplishments on just one disc -- they remained consistent and viable hitmakers well into the '70s, totally reinventing their sound in the process -- Anthology should really be considered the best available summation of their career. The two discs split up the Tempts' two major phases pretty neatly. Kicking off with their breakthrough hit "The Way You Do the Things You Do," the first disc covers their years as the epitome of the Motown sound, while the second sums up their transformation into a funky psychedelic soul outfit at the close of the '60s. All the key hits are here, including a few major R&amp;B-chart smashes that were left off The Ultimate Collection; plus, the liner notes offer a detailed history of the group, right down to listings of every lead singer on each individual track. It all makes for a tremendous package and an amazing 2 1/2 hours of music. Anthology is the ideal choice for any listener who wants to dig deeper than the single-disc Ultimate Collection, but doesn't want to spring for the five-disc Emperors of Soul box; unfortunately, as of early 2003, it had gone out of print again.